The West Coast Groundfish fishery is one of the most complex U.S. fisheries to ever successfully end overfishing and rebuild its depleted stocks. This resulted in the certification of 13 species by the Marine Stewardship Council in 2014. The fishery's recent success can be attributed to having a strong science-based management program and robust monitoring system in place. However, despite this progress in conservation, the long-term economic stability of groundfish harvesters is uncertain. 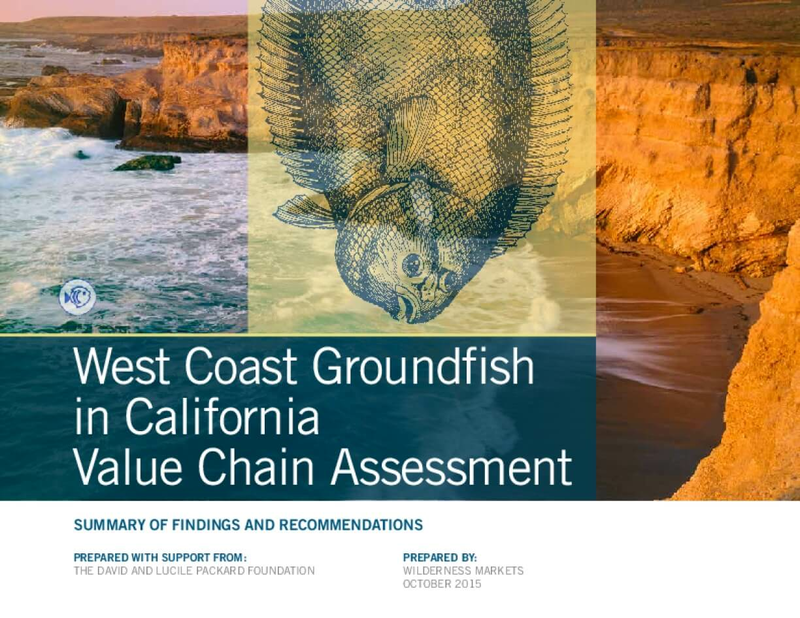 In an effort to improve the financial viability of harvesters, the Packard Foundation provided a grant to Wilderness Markets to evaluate the value chain of this fishery in California. By identifying constraints and opportunities, we hope to attract impact investment capital to this issue—thus helping to ensure the long-term economic sustainability of the fishery at all levels. Copyright 2015 by Wilderness Markets. All rights reserved.